BEAUTIFUL ENERGY EFFICENT COUNTRY HOME!! 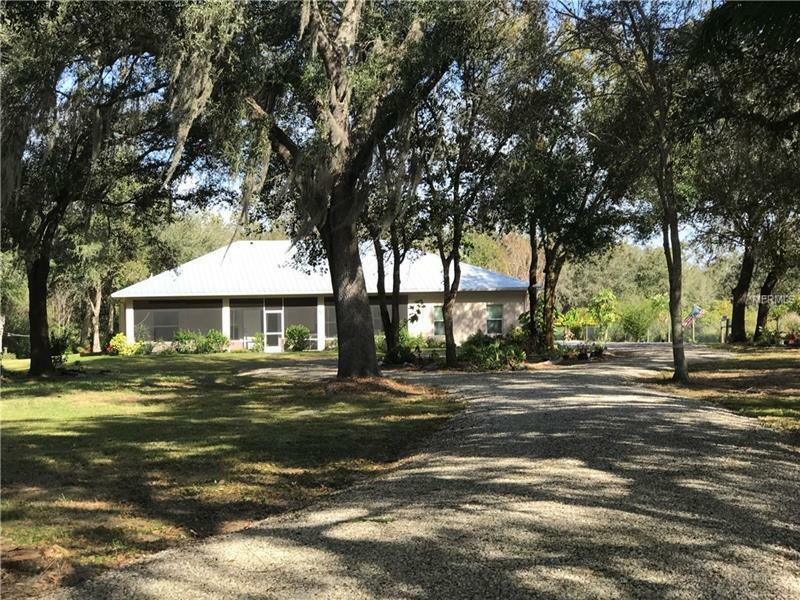 YOU WILL LOVE THE PEACEFUL SETTING OF THIS SPACIOUS HOME SITUATED AMIDST LARGE OAKS AND MATURE LANDSCAPING. THIS SPLIT PLAN HOME FEATURES VOLUME CEILINGS THROUGHOUT AND MANY CEILING FANS. PER THE SELLERS, THE HIGHEST ELECTRIC BILL IS $95.00. GREAT ROOM, DINING ROOM AND KITCHEN MAKEUP THE CENTRAL PORTION OF HOME. THE KITCHEN BOAST PREMIUM WOOD CABINETS, A BREAKFAST BAR, PASS THROUGH WINDOW AND OSMOSIS WATER SYSTEM. LARGE MASTER BEDROOM SUITE OPENS ONTO SCREENED BACK PORCH. THE MASTER BATH HAS HIS AND HER VANITIES AND CLOSETS ALONG WITH SPACIOUS TILED SHOWER. THE SCREENED BACK PORCH LOOKS OUT ONTO LUSH GREEN BACK YARD WITH PAYAYA TREES, BAMBOO, BUTTERFLY GARDEN AND NUMEROUS SPECIES OF BIRDS. FOR THE MAN OF THE HOUSE, THERE IS A SHED/WORKSHOP COMPLETE WITH ELECTRIC. WATER SYSTEM FEATURES A CHARCOAL FILTER. THERE IS A POWER TRANSFER SWITCH INSTALLED FOR A PORTABLE GENERATOR. THIS HOME IS IMMACULATELY MAINTAINED AND IS MOVE IN READY !!! CALL TODAY FOR YOU PERSONAL SHOWING.